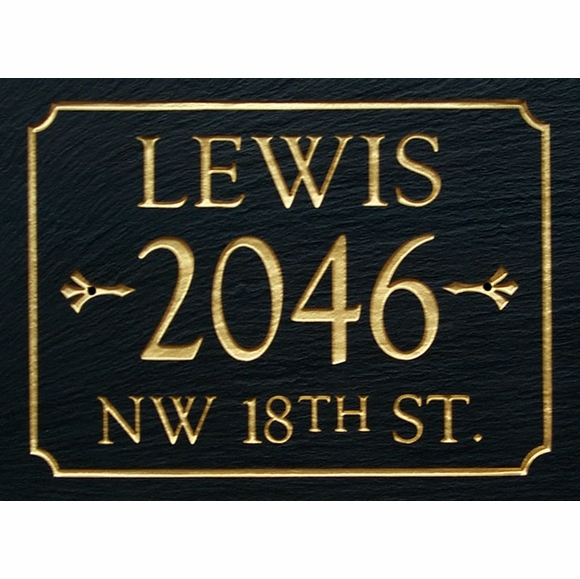 Personalized 3 Line Slate Address Sign - - rectangular address sign with lines for the family name, house number, and street name. Made in USA. Line 1 holds up to fifteen (15) 1.5" characters (including spaces). Line 2 with the house number holds up to five (5) 2.75" characters (including spaces) and the design accent as shown. Line 3 holds up to ten (10) 1" characters (including spaces).